Quick post to share with you all that my style was featured on TrendyRammy today. 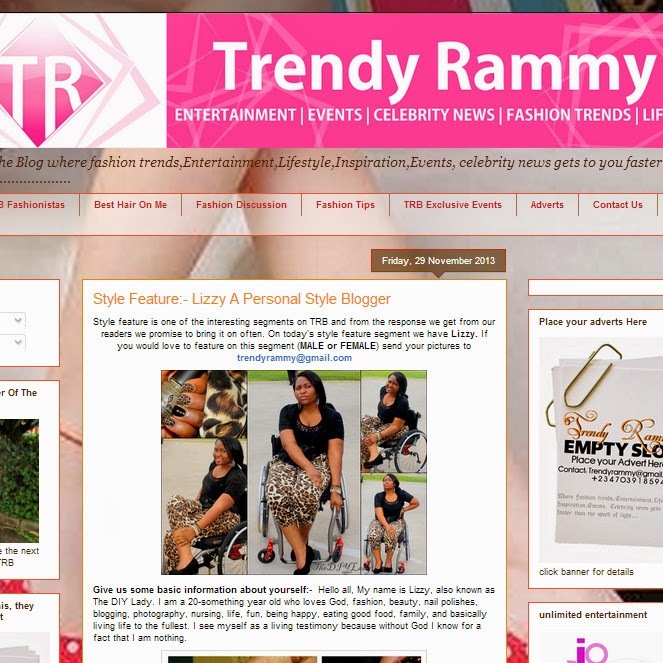 I love Trendy Rammy and I feel so blessed and honored to be featured on her website. I hope you all had a fab thanksgiving, and remember to enter my CURRENT GIVEAWAY HERE. Alrighty, that's all for now.